The first step you will need to take in getting your website up and running is to contact us and set aside a time where we can get together, usually over a nice cup of coffee, to discuss your exact requirements. Ideally this is done in our office, however if distance is an issue we can always discuss these requirements over the phone. All you need to do is phone our office or pop us an email to make an appointment. It is always a good idea to do a bit of research before you come in. Have a look around at other websites and see if there are any that you like, and think about why you like them. Have a look at what your competitors are doing and see if you can do it better. Also, have a think about what the purpose of your website will be and what you would like it to achieve. What geographical areas do you want to cover? What pages would you like on your website? How will you handle freight? How many categories of products will you require and will they require sub-categories? How will you take payments? Does your bank offer an internet merchant payment gateway to handle credit card payments? If you don't have the answers to these questions don't stress. We can offer you guidance and advice. We will discuss all of this and more during your initial consultation. Once we have a good idea of exactly what you are after we will present you with an itemised quote. Once you decide to proceed we will get to work on the design of your new website. Each of our sites are custom designed to suit your individual requirements. In other words we start with a blank screen and go from there. We will present you with a mockup of the design and will go back and forth with you until you are 100% happy with the way it looks. We do not sell "templated websites" or "websites in a box". Your business is unique and your website should reflect that. Once you have signed off on the design we will then proceed to add in the content. It is a good idea to get your content ready for construction as soon as you decide to proceed. This can take some time and requires considerable thought on your behalf so the sooner you get it to us, the sooner we can have your site populated. We can offer you guidance on your website content but sometimes it can be worthwhile to engage the services of a copywriter if need be. 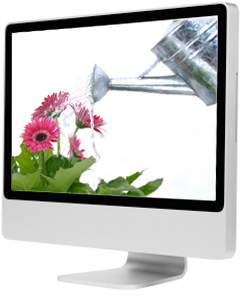 Imagery is also a very important part of any website so if you need photos or graphics on your website we can help you with that too. 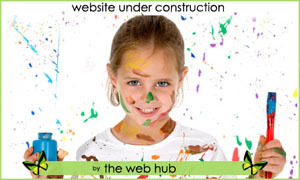 While your new website is being constructed we will build you a "Coming Soon" page but we will give you access to see your site actually being constructed. Once it is complete we will submit it to all of the major search engines so that they can work their magic and get you found. Our websites are always built with the goal of bringing in traffic so each website built by The Web Hub is search engine optimised as it is being constructed. All of our websites are also built to the World Wide Web Consortium Standards (W3C Standards) to ensure that your site is viewable by at least 98% of web users using different browsers and from different platforms. What may look great on a PC using Internet Explorer may look completely different on a Mac using Opera. It is our job to make sure this doesn't occur and that your website will appear exactly as it should no matter what computer or browser your viewers are using. We will also help you set up a domain name/s, website hosting as well as creating email addresses (if you don't already have them). We are always here to help you through the process so please feel free to give us a call should you have any questions.